808 Elements begins Tuesday, December 6th - SIGN UP NOW! "I had to spend countless hours, above and beyond the basic time, to try and perfect the fundamentals." Above: Coach Josh has the nicest KB swing I have seen! He also is a stickler for strong fundamental movement, so he is excited to get our CrossFit 808 Elements program started. See below for details on how to get into his top notch program. CrossFit 808 Elements: First 4-week program will begin next week on TUESDAY, December 6th! ENROLL TODAY! The moment many of our "interested" and new athletes have been waiting for... 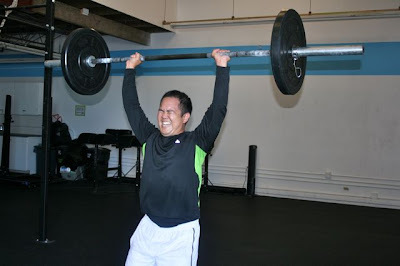 The CrossFit 808 Elements program will begin next week Tuesday, December 6th from 7-7:45pm! This program will span over 4 weeks with 3 sessions a week on Tuesdays, Wednesdays, and Fridays at 7:00pm. The cost is $115 (cash or check only). If you want into CrossFit 808 classes, then you must go through this program and pass (passing is based on the coach's assessment at the end of the 4 weeks). 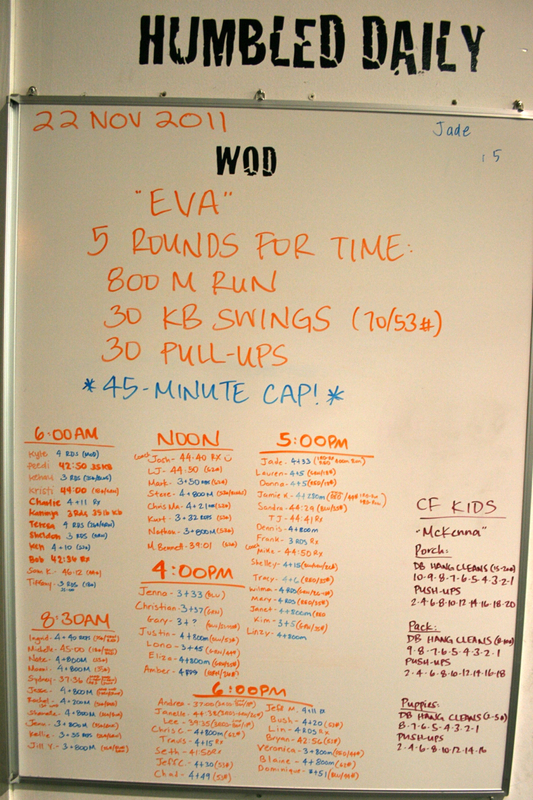 CrossFit is a very demanding sport and requires solid fundamental movement. 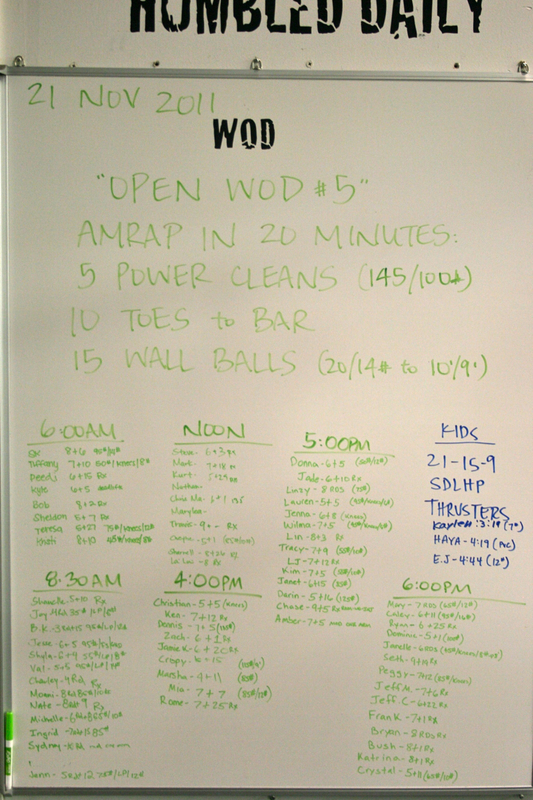 Our classes are maxing out and each athlete must know and understand the movements in our WODs (Workout of the Day). 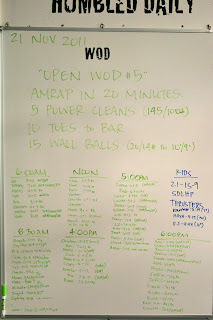 Transformations: How has CrossFit 808 changed your life? Above: Jeff back before he Paleo-ed! 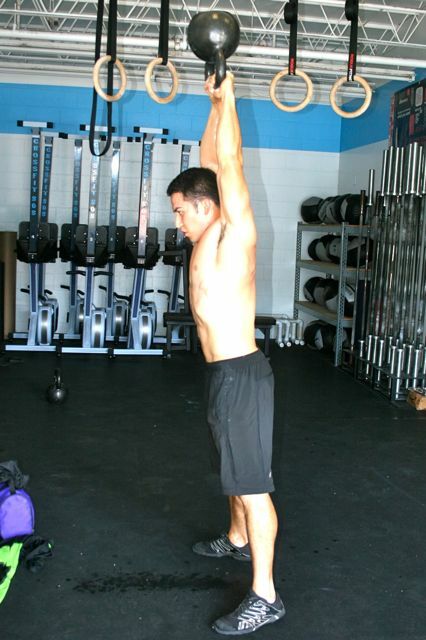 I initially dabbled in Crossfit back in 2010 while I was stationed back on the mainland. 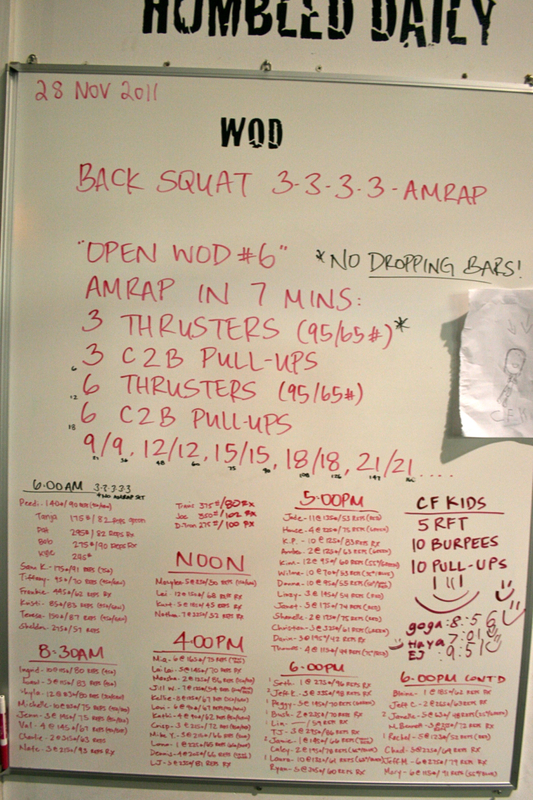 Due to various reasons and "not wanting to drink this kool-aid everyone talked about" I moved into heavy lifting and shied away Crossfit. 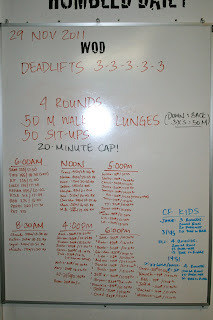 My wife and I moved to Hawaii in April 2011 with one goal in mind, to find a good gym. I have always thought of myself as being "in shape" and was in for a rude awakening that first day. Jamie and I attended a class at 808 and that was reality check that we so desperately needed. We were not only out of shape but in need of some serious changes in our health and fitness. 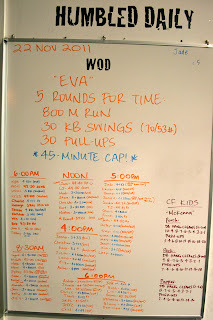 To this day Coach Elyse and Coach Kyla laugh at the fact that for my first WOD they both though I was finished. I was just sitting down, gassed, wondering how I was going to finish seeing as the end was nowhere in sight that day. 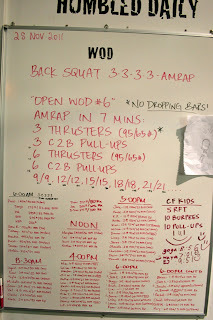 Since that first WOD Jamie and I have been hooked on Crossfit 808 for not only the workouts, competitiveness and coaching but most importantly, the family. We have been blessed with so many great people surrounding us at the box and welcoming us with open arms. We have continued to improve daily in everything from lifting to diet solely because of our great coaches and friends. Another reason I am thankful that I am part of the 808 family is because I was given the opportunity to represent the box in competition. I am proud and honored that someone saw the potential in me to put me in that position. Thank you for giving me that chance and I can only hope that I made everyone proud. Last but certainly not least, my wife and I are so lucky to have this place, these people and this atmosphere every day. I smile at the fact when she and I can attend Olympic lifting classes together; I get to tape her hands before a WOD, watch her "PR" at almost everything and cheer her on when WOD's are getting the best of everyone. I appreciate that we have found this lifestyle and enjoy it together. Let's face it, she is my best half and I would not be in the shape or state of mind that I am in without her or Crossfit 808. Thank you to everyone for making such a positive impact in such a short amount of time. "In the middle of a difficulty lies opportunity." Above: Jamie King has made significant gains since she has joined 808. 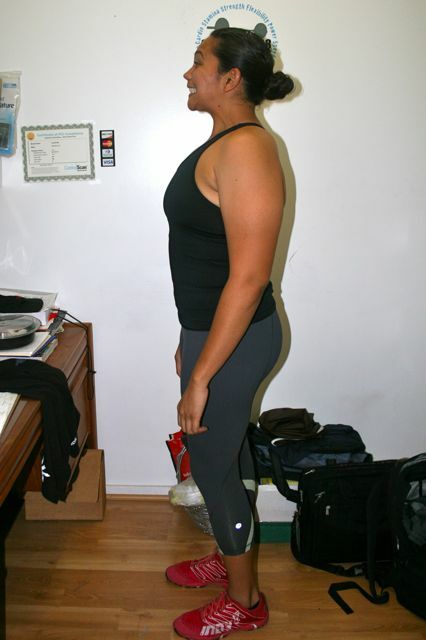 Not only has her strength increased in her lifting, but she's seen awesome changes in her body composition. As you can see, Jamie, had a great body to begin with, and some will say she "didn't need Paleo". Well, Jamie and I, will tell you that the changes in her body were not only on the outside but the inside, and that's why she Paleos. I should also add that Paleo has helped her cooking skills! This girl can whip up some of the best complete Paleo meals I have tasted, appetizer to desserts! 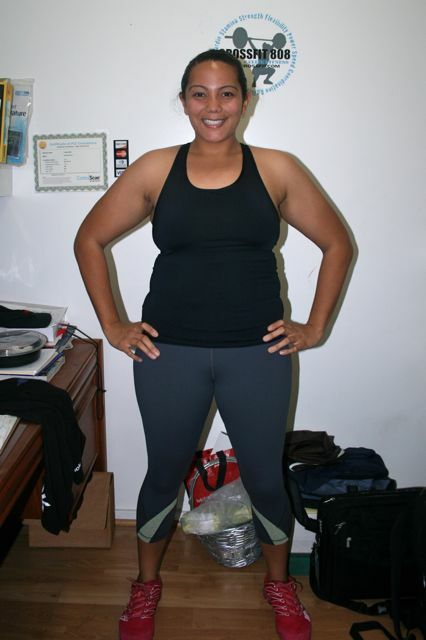 I am so proud of Jamie and her commitment to better health. 12*/12, 15*/15, 18*/18, continue till time runs out. 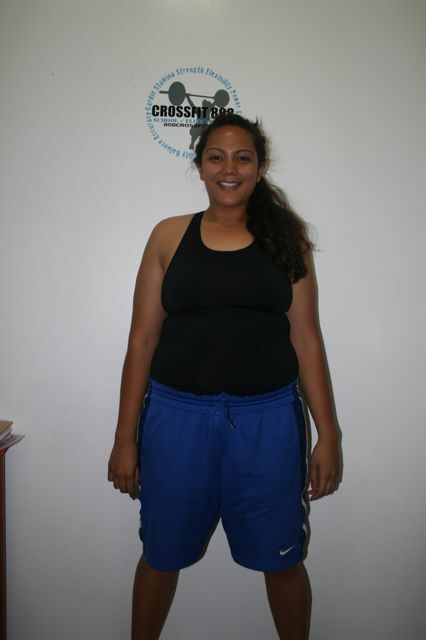 Jade joined us in April of 2011 and since then has made remarkable changes to her physique and fitness level. I am so proud of her! 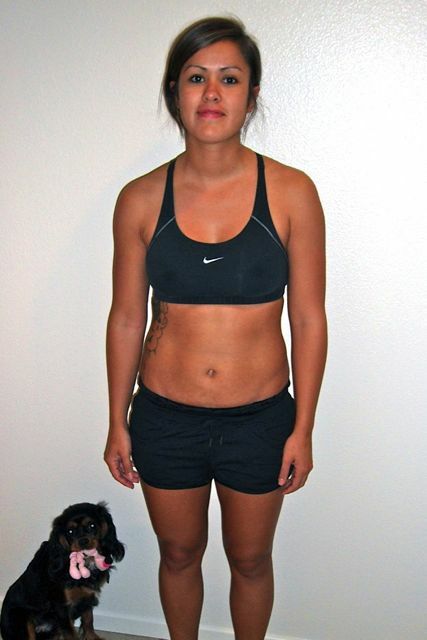 Jade's determination and commitment to better health have led her to success. 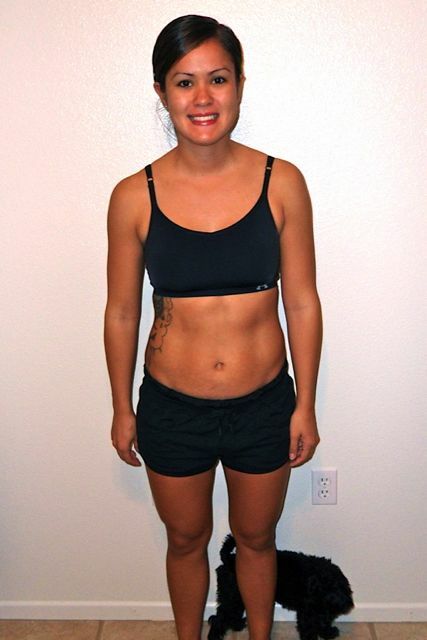 She not only motivated herself to workout hard, but she also decided to change her eating habits as well by participating in both our 30-day Paleo Challenge and 50-day Paleo Challenge. Jade showed us it is not only possible to live life better, but she even motivated her family to live better. Now that is love! 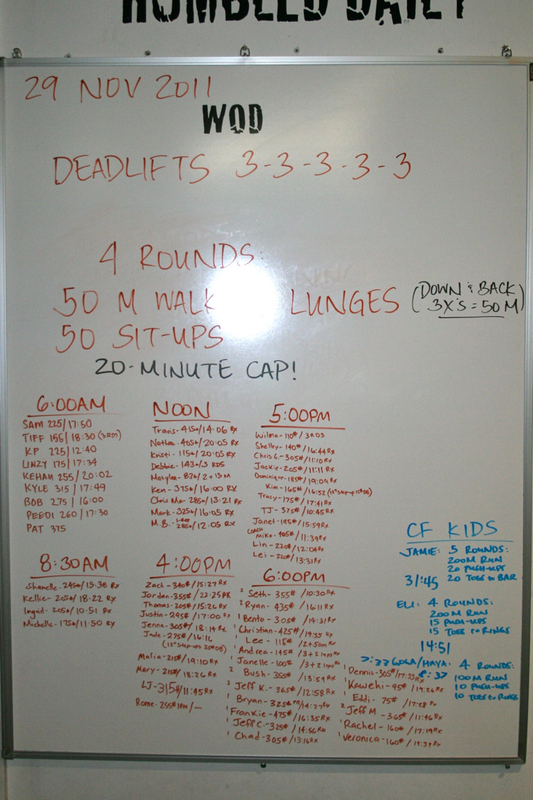 1-minute rest between each round. 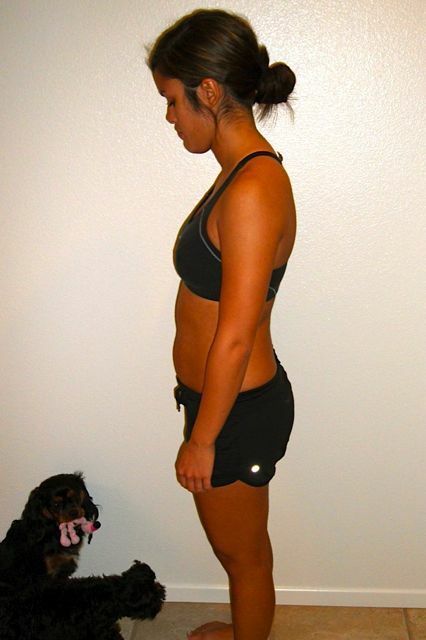 50-day Paleo Challenge Transformation: "How has CrossFit 808 changed your life?" Crossfit has changed my life in many ways, from meeting positive people who now I call friends, living a healthier life style, challenging myself to do what I thought was impossible, and "wanting" to workout daily. I have always been active in sports throughout high school and college. 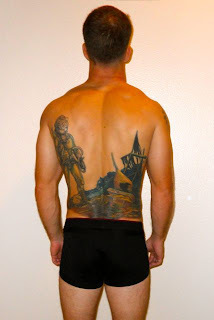 After I graduated from college in 2005, I kind of fell off on working out. I have done it my whole life, it was a job and being back home meant I could eat whatever I wanted and hat I didn't have to wake up early and train. However, by doing that I gained 40lbs in 5 years. Unhealthy eating and doing little gym workouts, yoga, and kick boxing at 24 hour fitness was not the remedy to keep the weight off. 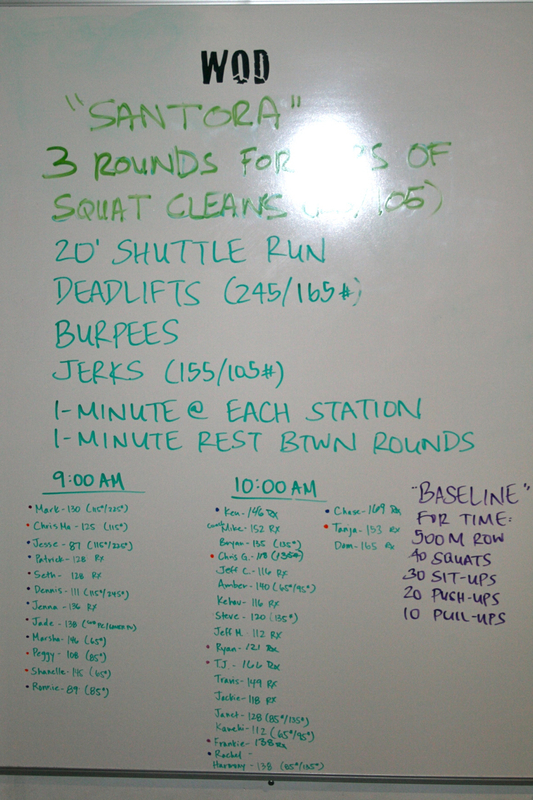 Working out became boring to me and I didn't have the motivation to workout, until CROSSFIT came into the picture. 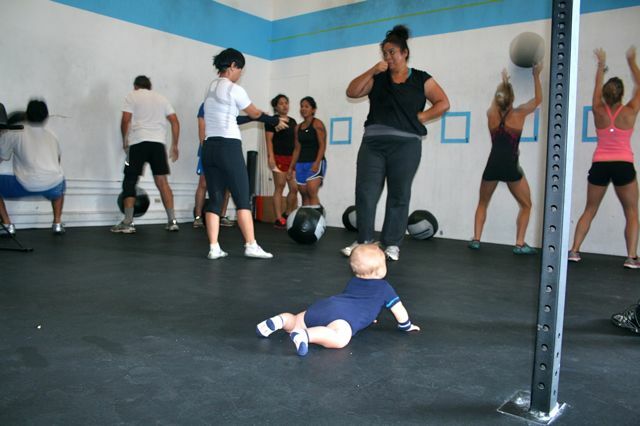 I've heard about crossfit and thought it was intense and I wanted to try it out. I'm glad that I did "try it out" b/c I found my "nitch" again. Something that is competitive, challenging, and that I look foward to doing on a daily basis. 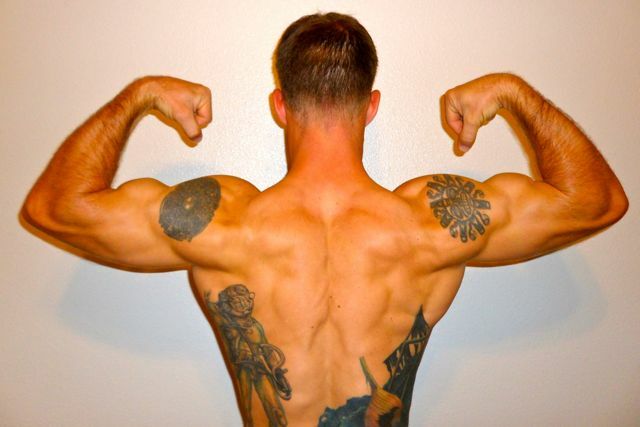 Crossfit has not only made me stronger physically, but also mentally. There were many times I wanted to give up, but with the positive support you keep going. 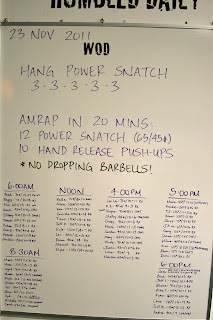 I never thought I would be able to do a pull-up and to accomplish one of my goals is "O" for "AWESOME..." Crossfit has also introdcued me to PALEO. Something that I also thought I could never do. But learning about the healthy benefits of PALEO and doing the challenges, PALEO has become part of my diet. It has also brought my little sister and I closer. We are 10 years apart and weren't as close as we are now. She used to be my little cheer leader on the sidelines during highschool and I had the oppurtunity to coach her during her senior year. But we never actually shared any of those athletic experiences together. To work out side by side with "HOUSE", motivating and competing against each other is a rewarding experience bc it has strengthened our relationship despite our age difference. 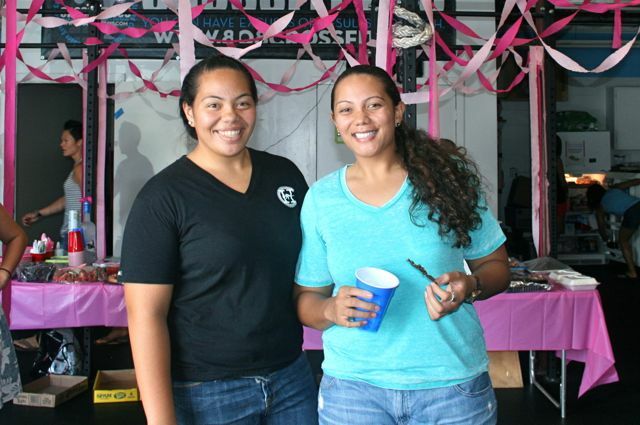 I just want to thank you Elyse, the coaches and Crossfit 808 for introdcuing me to a healthier lifestyle, meeting great athletes, and giving me that "competitive, challeneging adreniline rush" back. Above: Our humble beginnings. Back in February 2011. This year I have much to be thankful for. There is not a day that goes by that I don't stop at some point to think about how awesome life is, even in your worst hour. 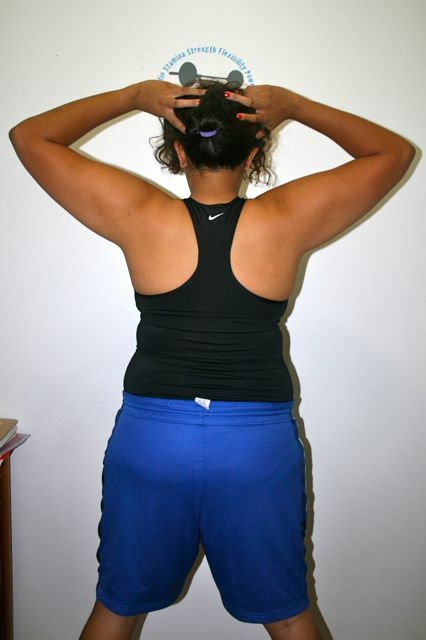 I never thought a fitness movement would change my life immeasurably. But, I am so very thankful it has. I would just like to wish everyone a happy Thanksgiving, and especially to all the CrossFit 808 athletes that have blessed my box. Wherever you are, whoever you are with, enjoy today and be thankful for everything you have. 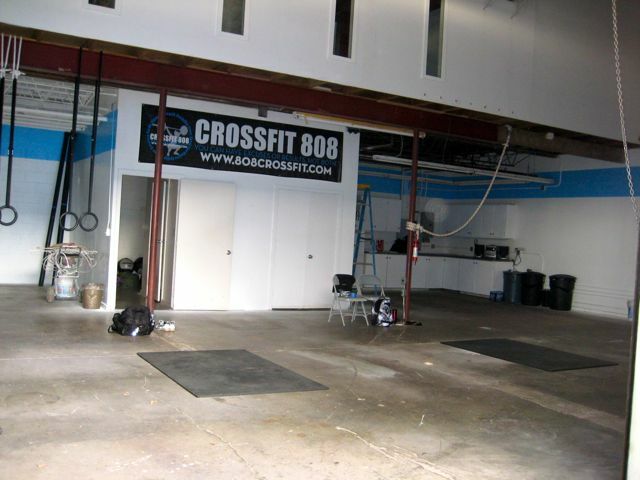 I know I am thankful for every single person that has made CF808 an awesome home away from home. It a special place because of you. And, special thank yous go out to my wonderful coaching staff, Josh, John, Cheyne, Mike, Joe, and Kyla, you guys are the heart of the box. Thank you for all that you do. I can never say that enough. THANKSGIVING HOLIDAY SCHEDULE: We will be CLOSED on THANKSGIVING (Thursday, November 24th) and BLACK FRIDAY (Friday, November 25th). 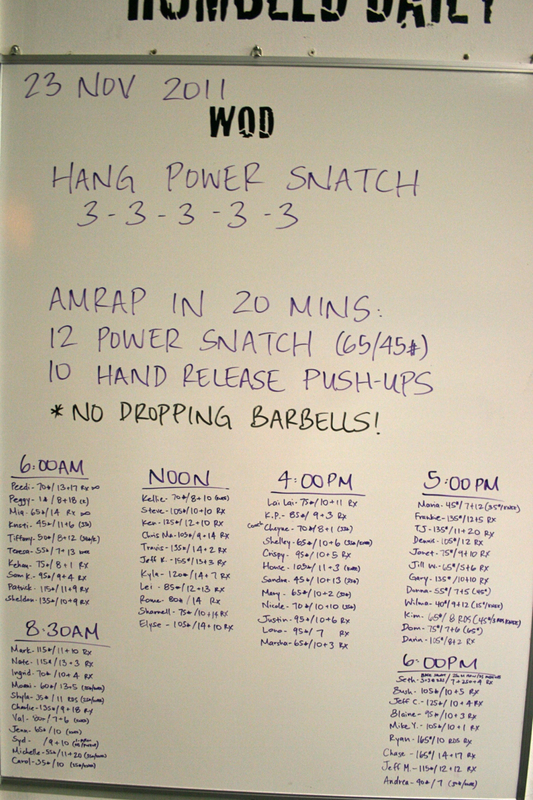 We will re-open on Saturday with our normal class schedule: 9am and 10am. 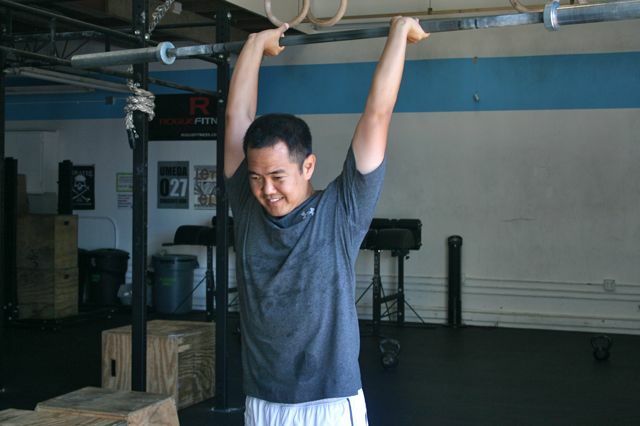 Above: Mark, back in April 2011, when he first joined us! This was taken right before our first 30-day Paleo Challenge. 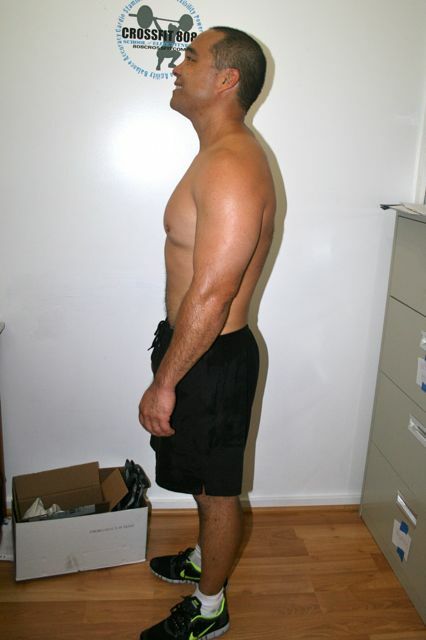 Above: Mark, in May 2011, post-30 day Paleo Challenge. The changes from the first set of pictures are evident. 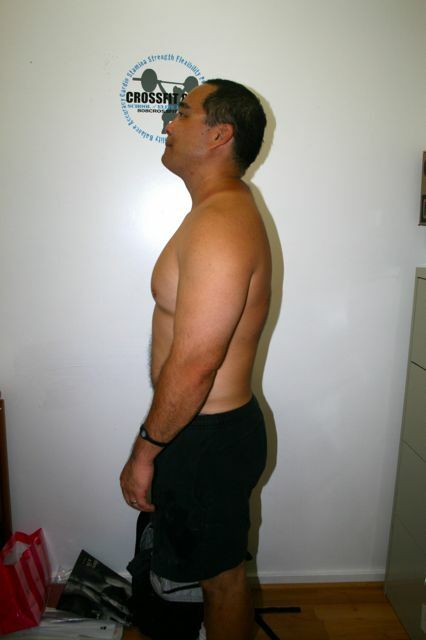 Above: Mark, today, after following the Paleo and CrossFit lifestyle since April 2011. 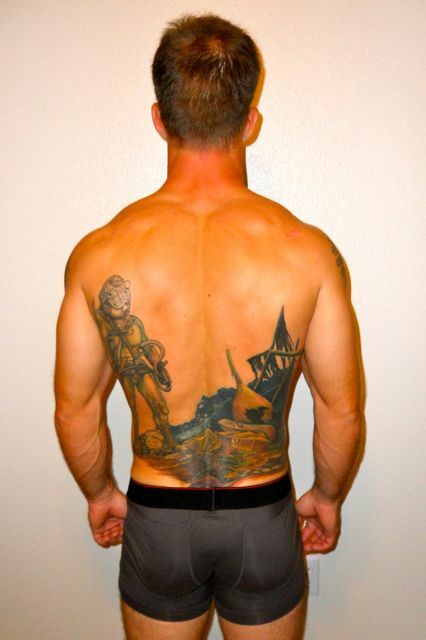 My favorite comparison is the picture of his back and lats. What a difference! Many of you know Mark as the super fit guy around the gym, but little did you know where he started and how hard he has worked! I am so happy to share his transformation with the world, because it shows off what discipline and determination can get you. Congratulations, Mark, you are truly an inspiration! 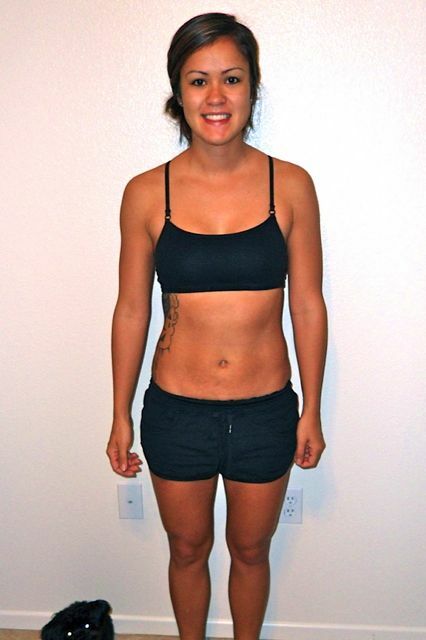 50-day Paleo Challenge Transformations: "How has CrossFit 808 made a difference in my life?" 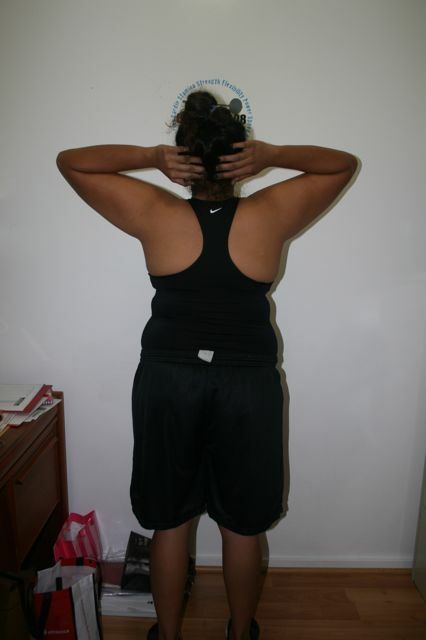 50-day Paleo Challenge participants: I still need before, middle, and after Paleo Challenge pictures! Thank you to those who have already sent me theirs! Your changes have been so remarkable! 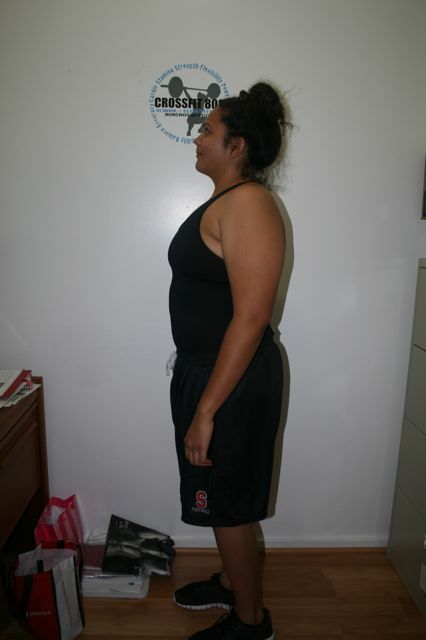 You can email me your before/middle/after photos (elyse@808crossfit.com) or you can bring in hard copies. 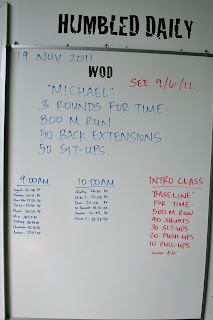 I also want you to answer this question: How has CrossFit 808 made a difference in my life? 3, 2, 1... GO! 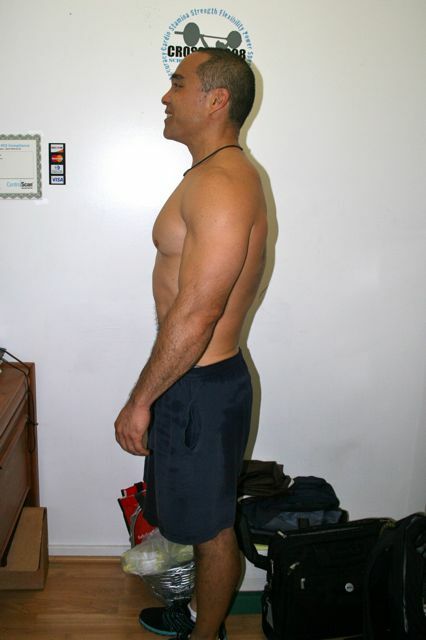 Above: Before Kurt's 50-days of Paleo! Above: Kurt after his 50-days of Paleo! Kurt didn't have much to lose in terms of pounds, but he definitely needed the cleansing. Even in his smaller frame, we watched Kurt go through the Paleo transformation. Not only did he lose the "double-chin" but he also lost his "beer belly". I am very proud of him, especially because I knew his resistance initially. I'm sure he'll tell you that it was all on his wife, Sharnell, and her awesome cooking. 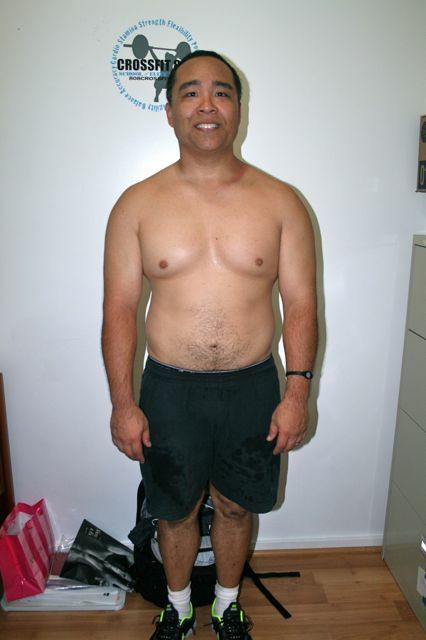 So, thank you Sharnell, for making your husband fitter and better at life--we all love his new youthful look! CONGRATULATIONS to all those who completed the 50-day Paleo Challenge! 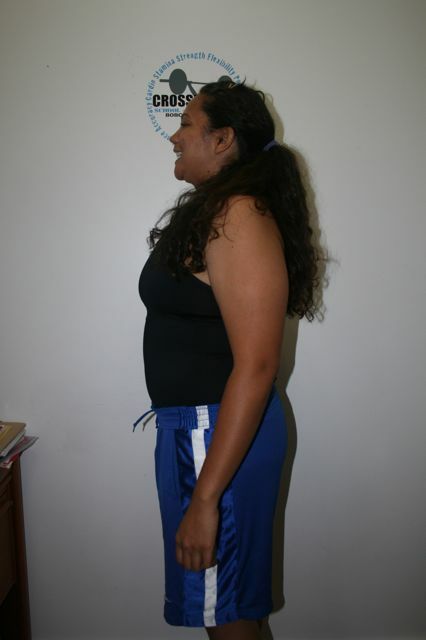 I still need before, middle, and after Paleo Challenge pictures! Thank you to those who have already sent me theirs! Your changes have been so remarkable! 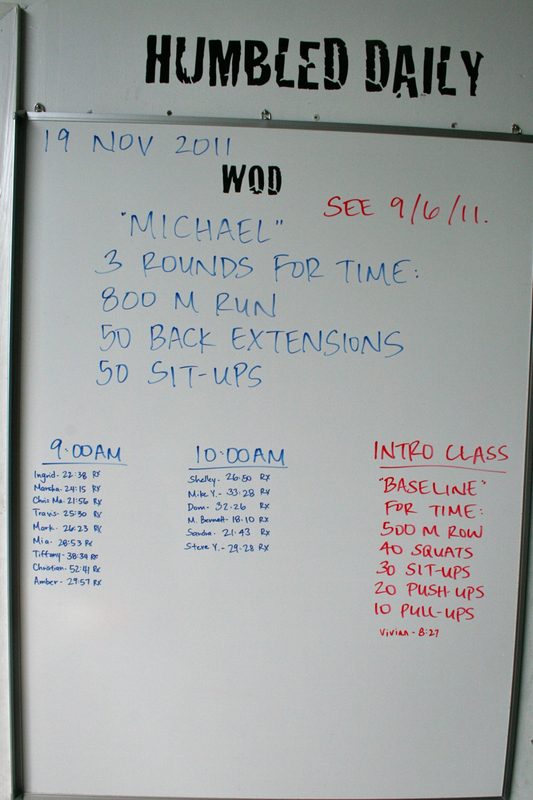 You can email me your before/middle/after photos (elyse@808crossfit.com) or you can bring in hard copies. 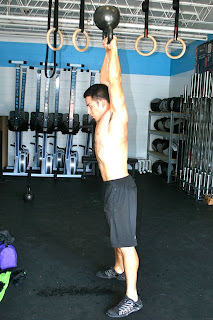 I also want you to answer this question: How has CrossFit 808 made a difference in my life? 3, 2, 1... GO! FINAL DAY of the 50-day Paleo Challenge! 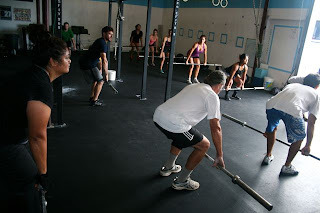 Above: The 8:30am class going through Power Clean technique with Coach Joe! ...and Hawaii's Fittest Branch goes to the ARMY! 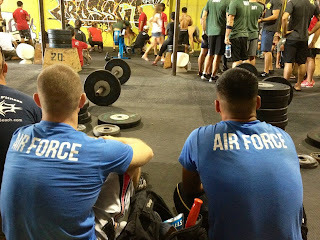 CONGRATULATIONS to all of the participants who competed in the Hawaii VA Loans Military Throwdown on Saturday! Special shout out to the 808ers that represented our box proudly: Coach Josh, Coach John, Coach Mike, Jeff King, Bob E., Jeff Mata, TJ, Chris G., and Linzy! Also, thank you to the 808ers that volunteered for the event and judged or helped out! You guys are the reason why events like this are a success! Big congrats to Coach Josh and interim coach, Nakoa Hoe, as well as Jeff King and his partner for finishing 2nd and 3rd, respectively. Also, I want to thank PROGENEX and ROGUE FITNESS for their prize donations. Paleo Challenge: the FINAL DAY of our 50-day Paleo Challenge! 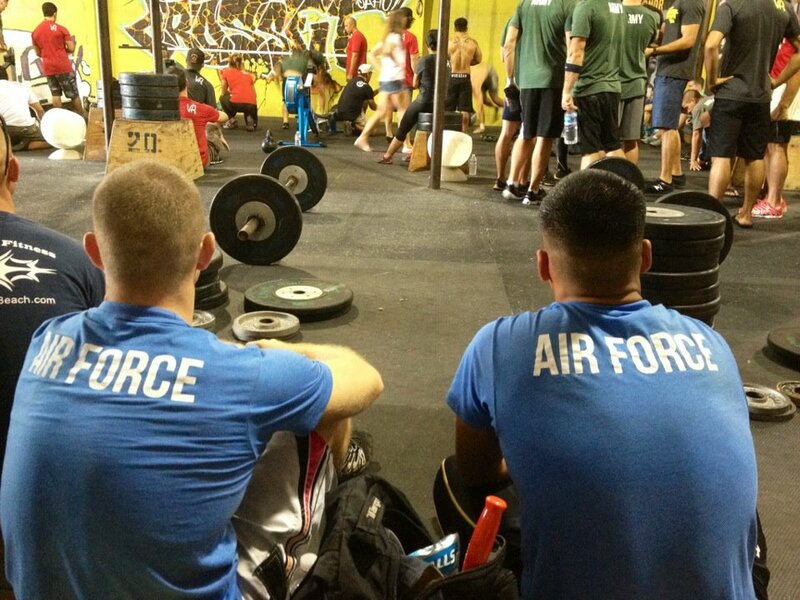 Military Throwdown tomorrow at CrossFit Oahu! Joe wins the Paleo Chili Cook-off! In honor of Ashley White: "White"
CrossFit East Sac in the house! Don't forget our Veteran's Day Paleo BBQ!